This page provides an explanation of the CAOS Mediation training certification in the CAOS Model of Mediation provided as an outcome of our 6-day Mediation Skills Training Course, and a comment on the present world of mediation 'qualifications' and 'accreditations' and some of the misunderstandings that exist about it - by Alan Sharland, Director of CAOS Conflict Management. Click here to find out more details including any discounted rates for the course. Additionally you can read this post on 'Mediation Accreditation - Red Herring, Rip Off or Real Sign of Quality? One of the pitfalls that arises for a lot of people who attend training in mediation skills is that after the course is over it is not always clear how the trainee starts to practise as a Mediator. Sometimes the mediation training organisation has a ‘register’ or a 'panel' for trainees to join, but being on that register doesn’t guarantee the trainee will get work once trained. When I worked as Director of Hillingdon Community Mediation we would often be approached by people who said they were ‘accredited’ mediators and wanted to mediate for us because they weren’t getting practice following their training. And this has continued to happen since I set up CAOS Conflict Management in April 2011 to the extent that I've had to ask people not to contact us for that reason on our enquiry page. To me that didn't make sense. If these Mediators were 'accredited' didn't that mean they already had substantial experience of working on cases and were therefore already getting mediation work? And for me, this is a concern about the impression gained by many people wanting to train to become mediators who often believe that 'accreditation' by itself leads to work in the mediation field. In fact it doesn't guarantee anything, nor does it give an 'advantage' in looking for work. As with any business, marketing is what leads to work. Providing an excellent service when doing this work leads to a good reputation. Development of a good reputation leads to continued business. If someone attends a CAOS Mediation training course they start, immediately after the course, as a Practitioner, having received our Mediation Practitioners Certificate This means they have attended our mediation training course, but are not presently experienced. We would not employ people to work under the CAOS name at this stage as we only employ experienced mediators. After a Practitioner has trained and worked on at least 10 cases, over a period of at least 18 months and has continually reviewed their practice at least every 3 months via one of our recognised support sessions or training events, they will then become an Accredited CAOS Conflict Management Mediator. If they wish to they can then become an Associate of CAOS Conflict Management, in which case we may then pass work to them when clients come to us for mediation. But, having trained with us, we are not saying that people have to attend our support sessions or training events or be accredited by CAOS to be able to get mediation work. As mentioned already, getting work is down to marketing. If practitioners wish to continue to attend CAOS Conflict Management support and training events after they train with us they will, of course, be welcome. But we are not wanting to suggest to people who train with us that they have to do this to be able to work as a mediator. They don't. Back to marketing for that one again. The wording of some mediation training organisations' literature suggest that this is a requirement before a mediator can get work. It isn't. Once trained, you can start to market yourself to get work. But it is your responsibility to do so, and your responsibility to review and update your practice in whichever way you choose. Unfortunately, some mediators say they are accredited, when, more accurately, they have attended an accredited course. At CAOS Conflict Management we believe accreditation can only be gained after substantial experience. If you are wanting 'accreditation' straight after the course, I guess our mediation training course is not for you. We will give you a Practitioners Certificate, but this will be an indication that you have put a lot of hard work in over a 6-day course to learn mediation skills. But that certificate will not be what gets you work as a mediator, nor will not having it prevent you from getting work. For that you need to market yourself - via a website, blog, twitter page, LinkedIn profile, facebook, leaflets, advertisements, talks etc. Many accredited mediation courses are accredited by non-mediation bodies. These bodies accredit the policies, framework and methodology of the training, not the mediation-related content of the course itself, nor place an expectation on the length of the course. So how does CAOS do Mediation Training? 2.Our mediation training is underpinned by a set of 6 philosophies and 9 Principles of Practice that form the bedrock of all of our mediation practice. This simple but highly effective framework enables a clarity of practice that helps to give confidence to the trainee to work in any field of dispute after the course is over. 3.Our course has a maximum number of 12 trainees and is experiential and interactive, involving group work, pair work, role play, relevant games, reflective learning with little theory or lengthy handouts. We begin as we mean to continue - through practice - review - learn - improve - practice - review - learn - improve. You will start practising the skills from Day 1 and will then review and improve them throughout the course .....and will continue to do so throughout your career as a Mediator, using the 9 Principles and 6 Underlying Philosophies as your support and benchmark. We don't believe there's any such thing as 'the finished article' when speaking of mediators. Mediation is a discipline that needs to be reflected on and worked at continuously. Herts Young Homelessness Group – staff trained to provide mediation for young people and their parents/ carers when they are already homeless or at risk of becoming homeless due to family disputes. Lewisham Action for Mediation Project – mediators trained to work in community mediation such as neighbour disputes and other difficulties. The Bridge, Leicestershire - a housing support organisation that has had many of their mediators trained by us for work in the area of homelessness mediation. "This six day course was a revelation. On the first day I came to appreciate how far-reaching a mediator’s approach to dealing with conflict could be. 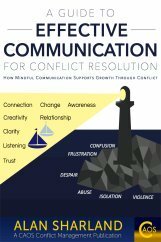 I highly recommend mediation training to anyone who wishes to gain an insight into conflict and ways of enabling individuals in situations of conflict find meaningful resolution for themselves. 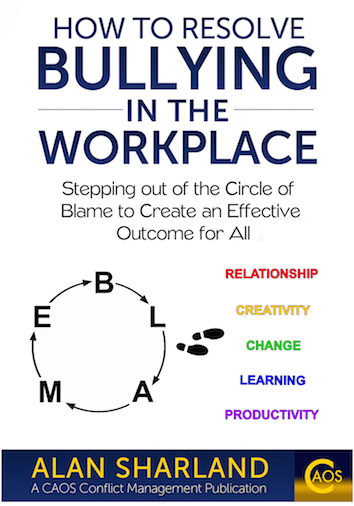 In the process, you might just find your own approaches to dealing with personal and professional conflict are re-evaluated and consequently enhanced. 6.CAOS also offers a tiered level of support both before and after training to help the trainee plan and develop their mediation practice. This could be just consultation to help prepare for the challenges involved and follow up support after the course, or it could include building a website for the trainee or helping them to build their own and helping them with marketing, design and social media support to help them ‘hit the ground running’. 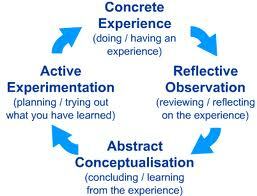 This approach applies whether we are providing training for an individual or an organisation. See below for details of what we offer as additional support for organisations. After completing their mediation training, CAOS Conflict Management also supports the newly trained Mediation Practitioners via support in developing their business and marketing and if needed the setting up of systems to manage their work and policies that inform an effective mediation service which are in keeping with a mediation 'ethos'. 8.Links to the network of CAOS trained mediators for mutual support. We will offer regular Support Sessions and Themed Training Evenings, usually held at Brunel University but we also offer them online via Skype and Google hangout, or one-to-one on FaceTime as well. 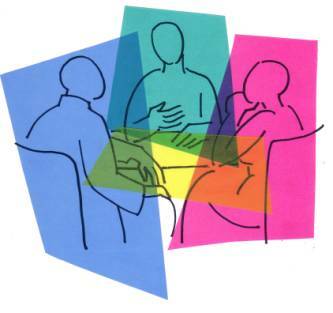 At Support sessions, CAOS trained mediators come to discuss their case experiences in order to reflect on them and share their learnings with others. At Themed Training Evenings we look at a particular theme within mediation practice in order to learn and improve our understanding of the application or relevance of the theme. We also have role play practice evenings from time to time. The preparation, marketing, intake of cases, development of administration policies and procedures that fit with mediation practice is a challenge that can’t really be included in a training course because the context and aims for each practitioner are different. But the underlying thinking behind each of these has to ‘walk the talk’ of mediation, or clients will soon feel confused and dissatisfied. CAOS can draw upon 21 years of experience of this to help newly trained mediators structure their practice in a way that works. 9.Once a CAOS trained mediator has started to gain practical experience they are then given access to further training for instance, to become Conflict Coaches and even to become involved in training as a Trainer for CAOS Conflict Management. We provide and continually develop a network of practitioners who are passionate about developing and improving their skills and learning in this challenging field, recognising that we continually need to challenge ourselves and increase our self-awareness in order to improve the quality of the service(s)we offer. We also provide opportunities for people to grow and develop the range of skills and practices they have in order to support their career in conflict management. If you would like to train in the CAOS approach to mediation, please CONTACT CAOS to discuss your interest or telephone us on 020 3371 7507. Are you interested in CAOS Mediation Training for members of your organisation? CAOS provides consultancy and support for organisations taking up its mediation training in integrating mediation into their complaints procedures, disciplinary and grievance procedures, staff management procedures, client/professional relationship management etc. We also support the ‘selling’ of the idea of mediation within an organisation, helping to get across the benefits, ethos and ‘message’ of mediation to colleagues who may not be directly involved but will be affected by its introduction. We can even manage the service for you if you want! This is sometimes preferred instead of establishing 'in-house' management of the service. Please visit our in-house mediation page for more information about this part of our service.